Why GDPR is Good News…. In May this year the data protection principles that we abide by are being updated to the European Union’s General Data Protection Regulations (GDPR). These regulations place more stringent rules on those who handle your information and anyone who holds or processes your personal information will need to tell you exactly what they will use the information for. We place the highest importance on our client’s security and privacy and strive to always deliver our service to the highest possible standards. These changes are an extension of that and an opportunity to contact you in the right way with information that is relevant and meaningful. •We will treat your data as if it’s our own. We will never share it with third parties beyond those we need to, to be able to carry out our service to you. 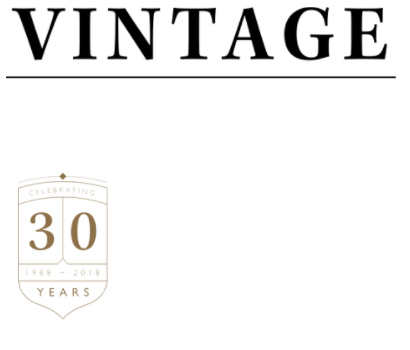 •We will only ever use your information to enhance your experience and to tailor the service you receive from us to your individual needs and preferences or to develop our offering for the benefit of future Vintage clients. •We will always be clear on why and how your data will be processed and stored by us. •Your data will always be stored securely using our up-to-date systems.